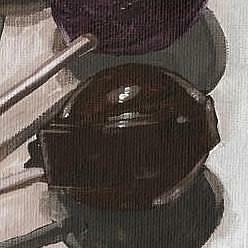 I love painting translucent candy, and I adore defined shadows. So this piece was kind of a dream. 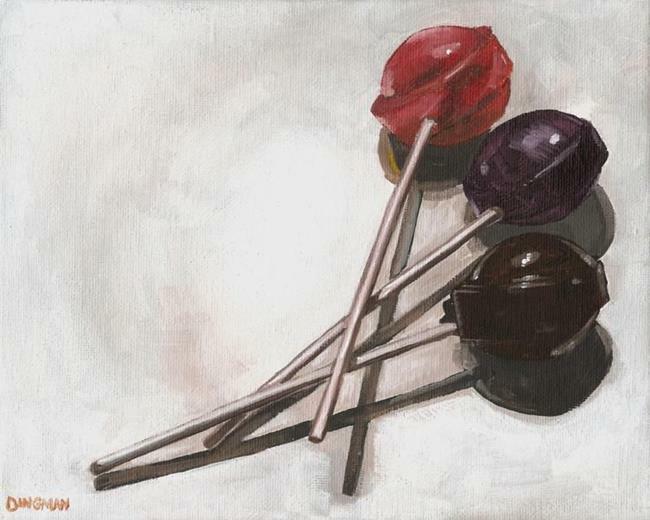 I arranged the candy this way, and really like the motion it gave the piece. Later, I realized it reminded me of the old Sprint commercials--how at the end they'd drop a pin. And so, this is a candy pin drop, at least in my mind!